Piri Piri is a term with many different meanings. At the same time, small, fiery pebbles of a very specific plant that is found in Portugal, which have paved their way from South America through Africa to Europe. The classic from Africa! Thin plant that grows upwards with a nice winding crown. Jindungo - Portuguese Piri-Piri chilies marinated in Brandy - a pleasure! Garlic, Wine Marinade- Perfect to marinate pork, poultry and game. A beautiful Portuguese marinade - perfect for pork ribs. This paprika or pepper paste is a typical recipe of the Azores. It is lightly spiced. Beef and veal marinade, perfect for steaks. Typical American Buffalo Wing marinade in Portuguese style. Traditional portuguese paprika paste / puree. Mediterranean marinade-lemon-herbal is a typical chicken marinade that gives a very pleasant taste of fresh lemon and onion. The herbs leave a scent of the Mediterranean. A perfect Portuguese sauce for cod preparation. It can be used either as a sauce before putting in the oven or as a seasoning. Hot garlic puree, perfect with lamb. Pure lemon paste, preserved in salt and fruit vinegar. Garlic puree - Pickled in salt. Piri Piri is a term with many different meanings. In Portugal it is not just a common name for hot chillies. At the same time, it is the name of the fiery hot peppers of a very specific plant, which paved its way from South America through Africa all the way to Europe. And above all, it has something to show for! Where does the Piri Piri come from? In “Swahili”, this name means “Pepper Pepper”, which lets us assume that this breed came originally from Mozambique to Portugal. Through the colonizing of African lands by Portugal, the plant became more and more popular, although even in the space of South America, many different breeds of the pepper are being used for its culinary properties and health benefits. 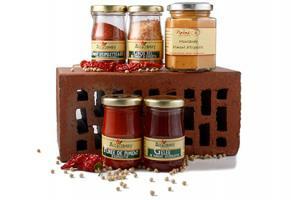 In Germany, Piri Piris are often grown in pots or gardens and are also very well known as sauces. Also known as the Birdseye Pepper, the fruits of this breed is only about 2 cm long and 5 mm thick. The thin-walled, red fruit packs some heat with a heat level of 9 out of 10! In the beginning, the fruits are of a bright green color, until later they mature to a bright to dark red. Through numerous, small, white flowers, the perennial plant is very soon littered with fruit that gives for a colorful decorative visual effect. 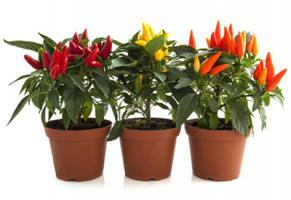 Piri Piri also shines as a potted plant, because it grows bushy and not more than 40 cm high. Since the beginning of May through September, you can put the plant with no worries on the terrace. 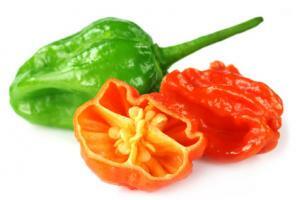 The plant is not only known as Piri Piri – elsewhere is it known as African Bird’s Eye or Peri Peri or Pili Pili. Above all, is it a typical Capsicum Frutescens. The bushy growth can reach heights of up to 1,2 meters, although on a balcony or on a windowsill it grows a bit smaller. Moreover, the plant is by comparison uncomplicated to maintain and grows very fast. It takes about 2 weeks for the seed to germinate and from here the seedling takes quickly in size and branches out strongly. Its leaves become approximately four to seven centimeters long and up to two centimeters wide. Especially impressive are its flowers. Already as young plants, they can grow a large number of chilies. The fruits reach a length of maximum eight to ten centimeters and together with the soft, white petals the Piri Piri is beautiful to look at. Especially during maturity, when the still green Peppers slowly develop their intensive red glow. They grow in all directions – upwards, as well as horizontal or hanging and in the end have something to offer. The thin-walled Chilies reach with no problem the 100.000 Scoville mark, which above all dependent of the cultivation conditions. Anyway, a heat degree of 7 should be kept in mind if consuming. And herewith is the Piri Piri only limitedly recommended for a soft palate. In Portugal however, this plant may not be absent in any kitchen – nearly every family has a Piri Piri in the garden or potted on the terrace or balcony. 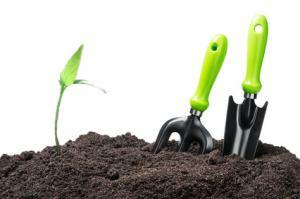 The plant is ideal for growing in one’s own garden and is comparably easy to take care of. It just needs some heat and sunlight and that you avoid the accumulation of moisture – then it will definitely delight the heart of any hobbyist gardener. Of course the necessary seeds are to be found in the Pepperworld Hot Shop. Otherwise, different crossbreeds are being cultivated nowadays in Africa for example, where you can come across the nickname “African Devil”. The commercial use is however predominantly found in Spain and Portugal, where the harvest beginning with September in full throttle goes. After the harvest the fiery hot peppers of the Piri Piri are versatile. Even raw they are already good for consumption, at least if you’re a real fan of fiery hot dishes. Apart from that, the chilies can be dried, powdered or pickled. The latter is most appreciated, especially the chillies picked in oil. Not only does an intensive heat develop, also the aroma dissolves wonderfully and the oil can then be used to spice up varied dishes. 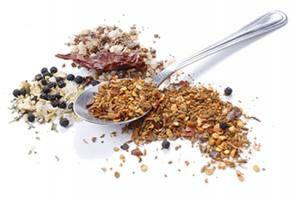 The most fiery is however the consumption of the whole pepper, including the seeds. Besides this you will find different variations with specialized retailers. Especially beloved and well known are the peppers pickled in vinegar. First, the water is pulled out of the Piri Piris with brine, then they are put in brandy vinegar together with various spices, for example mustard seeds, and some salt, and then boiled. The taste experience is then very intensive and takes you away with a composition of sour, hot, and salty aromas. The peppers are also as Massa de Piri Piri, a fiery Portuguese paste, obtained in a similar manner, a real delight. Absolute export hits are the Piri Piri Hot Powder and Hot Sauce. The thin-walled chilies are easy to dry and process further. As a powder, they serve in Germany for example for the seasoning of chicken and other meats. It can also be comparably easily made into a nice marinade. Those who like it even hotter, will surely find delight in the Hot Sauce. Together with some garlic, some lemon and some mild peppers, the sauce can give any meal some Pepp. 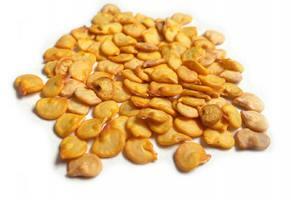 And above all, it contains only natural ingredients, because even for the preservation, only salt and vinegar are used. However, no confusion is to be made with the Tabasco Pepper Sauce. The last one reaches normally a chili content of about seven percent. 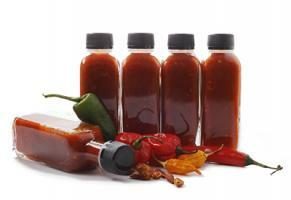 Sauces with Piri Piri easily reach up to about 60%. This makes the taste distinctively more intensive. You can obviously find a selection of delicate sauces, as well as the beloved powder and the paste in the Pepperworld Hot Shop. Piri Piri fits wonderfully with poultry and is ideal for processing into a marinade. For that, one must only cut some milder chilies and boil them in a little pot together with finely chopped garlic and a few tablespoons olive oil and vinegar. To it, one adds the fiery pepper powder and season it with a pinch of salt, pepper and sugar. Subsequently you can wonderfully massage the turkey meat with the marinade. Already after ten minutes the aroma is absorbed by the meat and it gives for a refined taste. Prepared with some crunchy potato cubes and some carrot-orange-salad, yoghurt-dressing included, you obtain a very delightful dish with Mediterranean flair and a lot of Pepp. But also lots of further dishes seasoned with Piri Piri take care of your palate delights. As, for example, shrimp - and many more meat dishes, as later seen at the Football championship in South Africa. Even if Piri Piri is a widespread term, which generally stands for hot chilies – the original peppers of the Piri Piri plant guarantee a little adrenaline kick for home. But not only are the peppers themselves wonderful for the spicing up and seasoning of dishes. The powder obtained from them as well as the paste can be made into various marinades and can give your meat dishes the right kick. Besides, these devilish hot chilies can be easily grown, even by inexperienced hobbyist gardeners, between their own four walls, in the garden or on the balcony. The plants are robust, even though they can only under certain circumstances survive winter outside, and are not pretentious in what concerns their maintenance. Last but not least, they can also be grown as decorative plants. Nicely draped in an accordingly sized pot, they provide a delight for the eyes with their wonderful color play of white petals and green, yellow, orange or intensive red peppers. Small but powerful – this is indeed accurate for the Piri Piri Peppers. For those who want to strengthen their immune system or for those who want to feel the burn on their tongues, take a good bite of the fresh chilies and you will surely not be disappointed. Otherwise, they are easy to pickle or to turn into a paste. All the necessary materials are found in your own stock cabinets. All the others, the needed seeds for home growth, as well as many products with purely natural ingredients, can be found in the Pepperworld Hot Shop. This way, every fan of the hot dishes can get his fix, even if they have no time or do not feel like growing on their own.